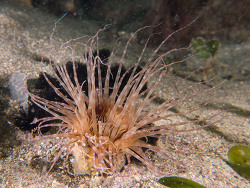 Tube anemones also referred as „Cylinder roses„ and „Tube-dwelling anemones“ share many of the characteristics as the so-called "true" anemones. 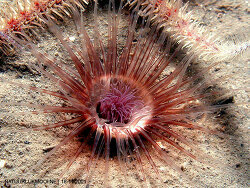 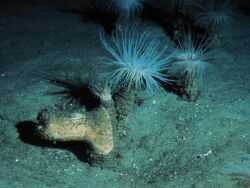 They are solitary corals with anemone-shaped, elongated bodies adapted for burrowing. 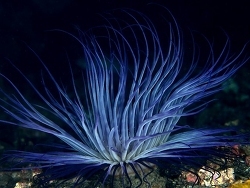 Found worldwide in tropical and sup-tropical seas, primarily in sandy or muddy bottoms. 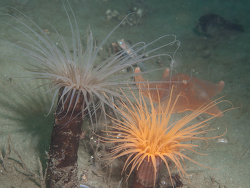 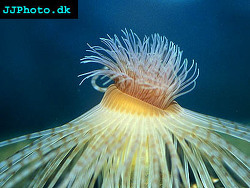 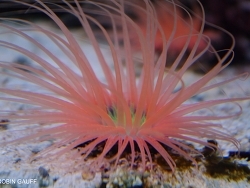 The tentacles of tube anemones contain stinging cells (nematocysts) which they use to stun predators and prey. 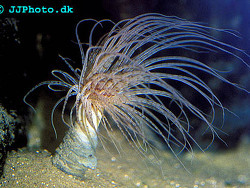 Also, they will pull their tentacles inward to hide from their predators. 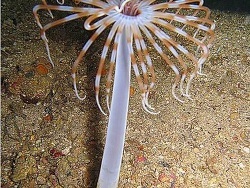 Their tentacles not only protect them, they also help catch their food. 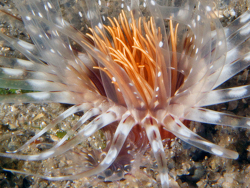 The eating habits of the Tube Anemone best described as aggressive. 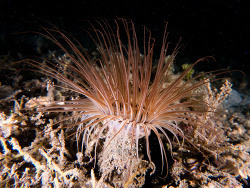 Tube anemones are filter feeders and eat small invertebrates and plankton. 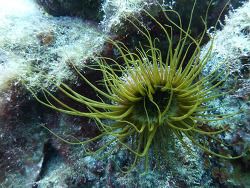 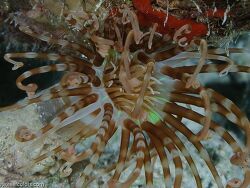 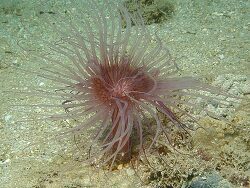 They are reef safe only if they cannot touch other anemones or corals. 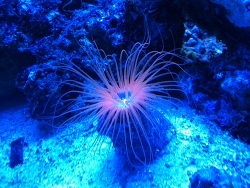 Within the aquarium it prefers periodic intermittent currents and needs moderate lighting.